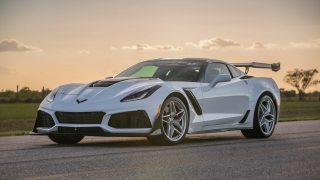 Well, it’s finally here. 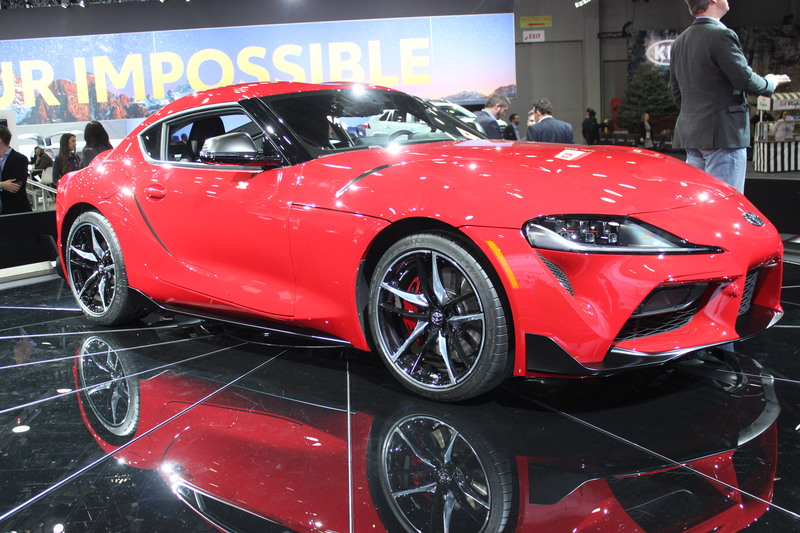 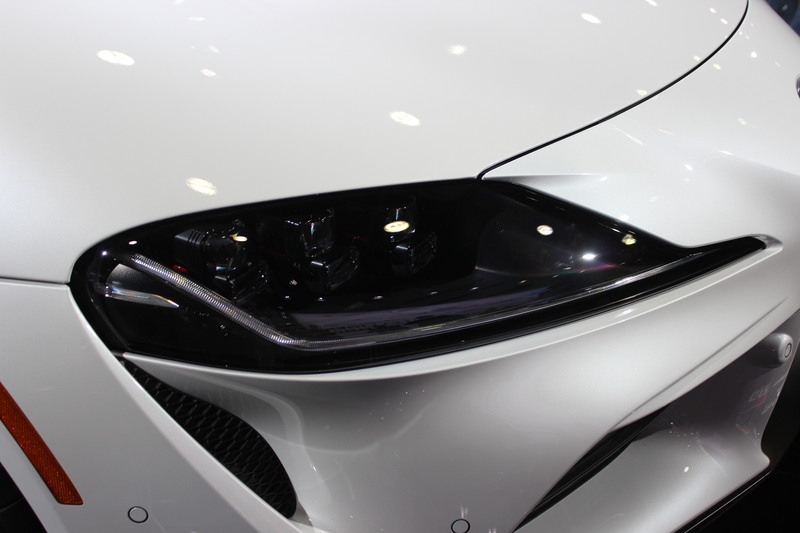 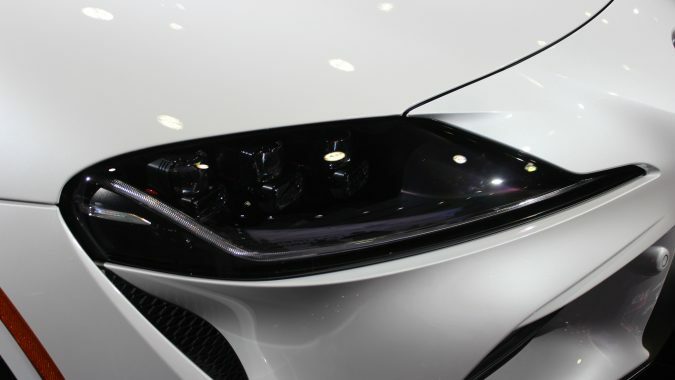 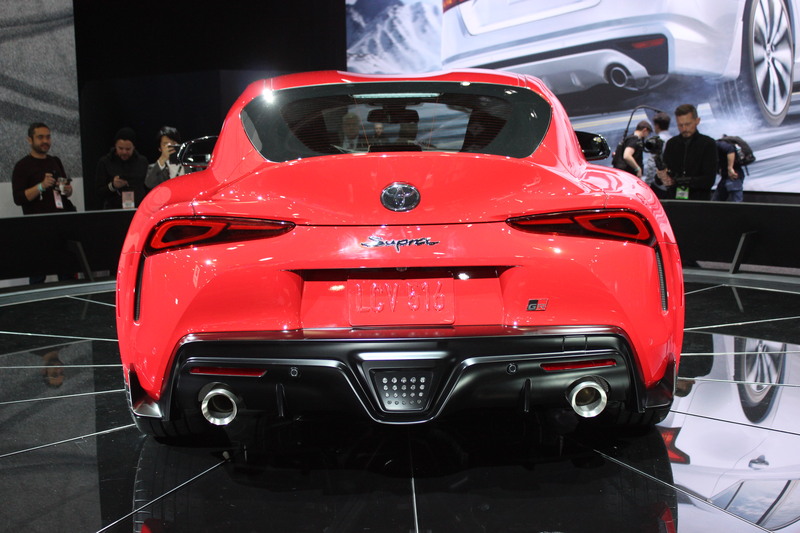 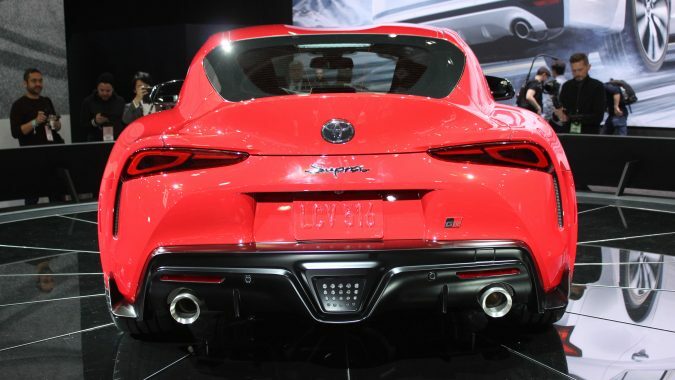 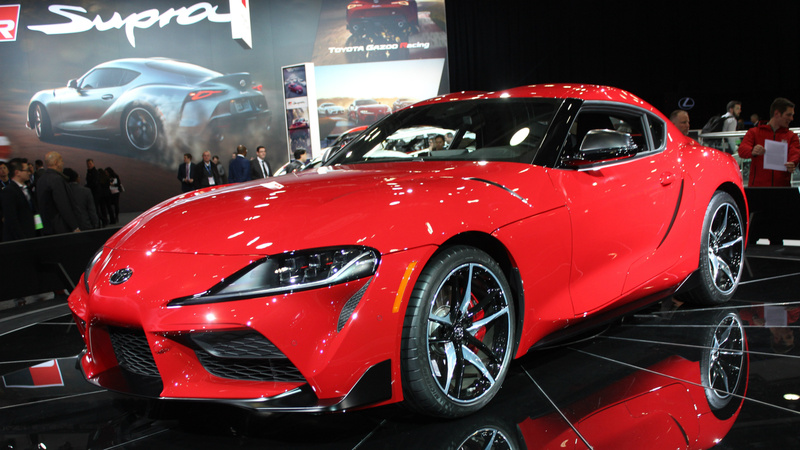 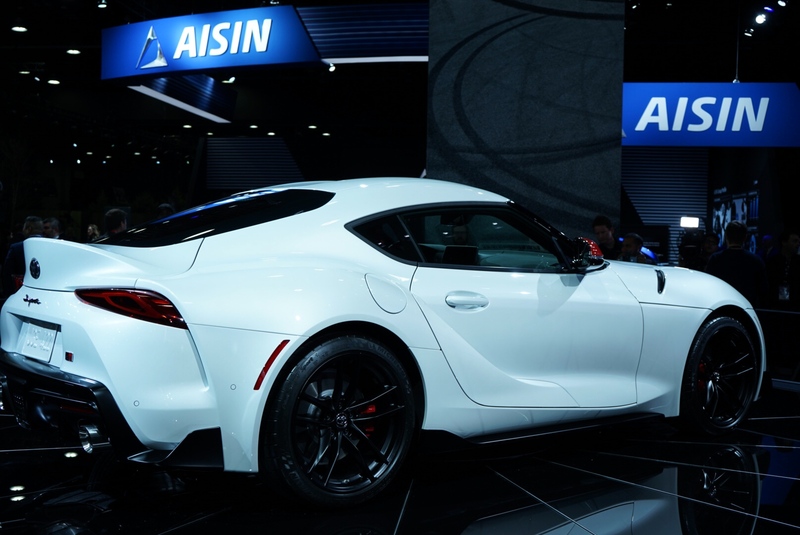 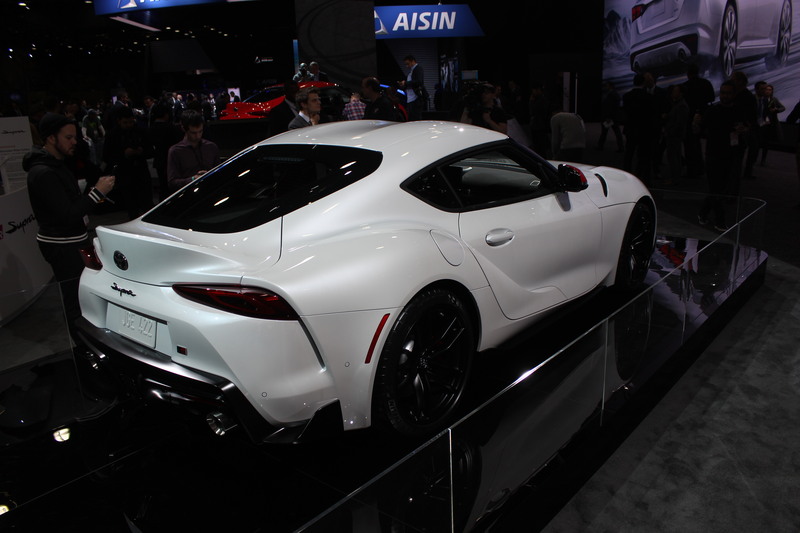 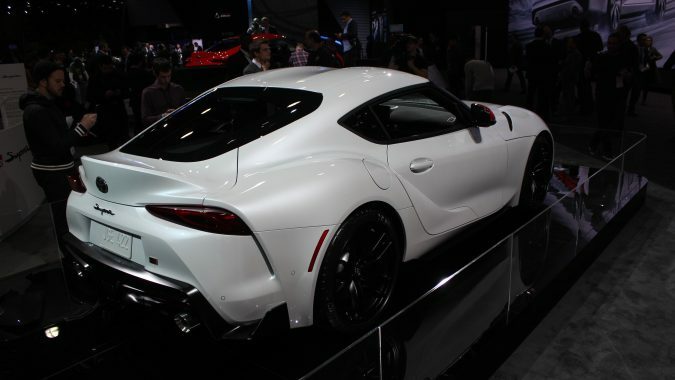 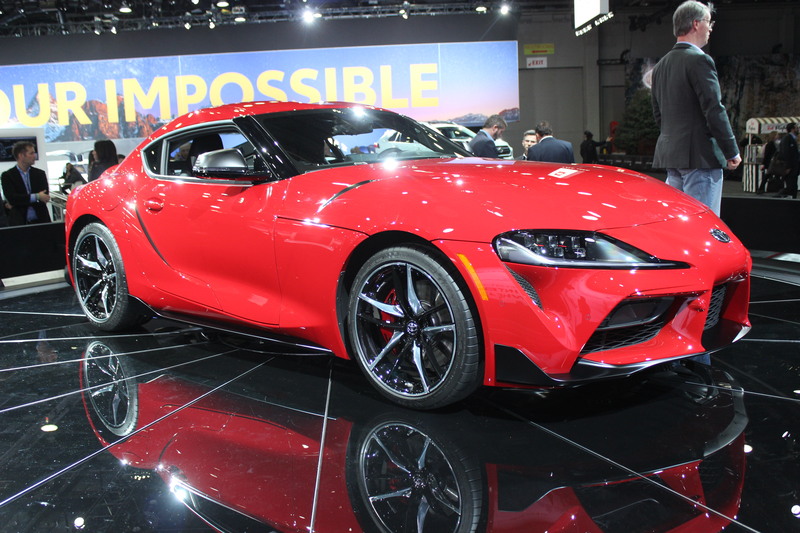 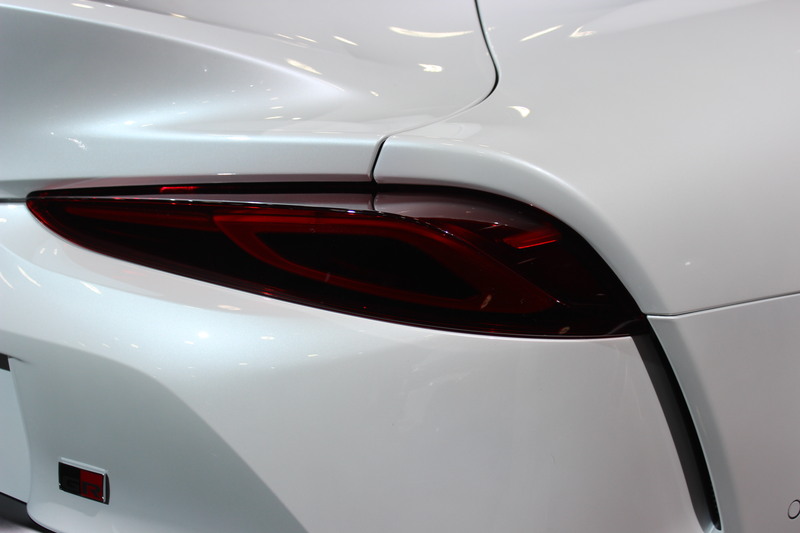 This year’s North American International Auto Show had many debuts; from Cadillac, from Ram, from Ford – but arguably the biggest reveal isn’t American at all, but Japanese: the 2020 Toyota Supra. 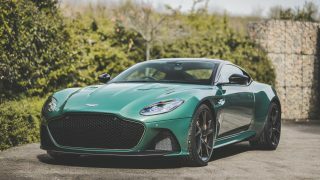 Yes; it’s probably the most poorly kept secret in the automotive world lo these last few years, bit it’s still nice to see the final, production version after years and years of camo’d concepts and race car lookalikes. 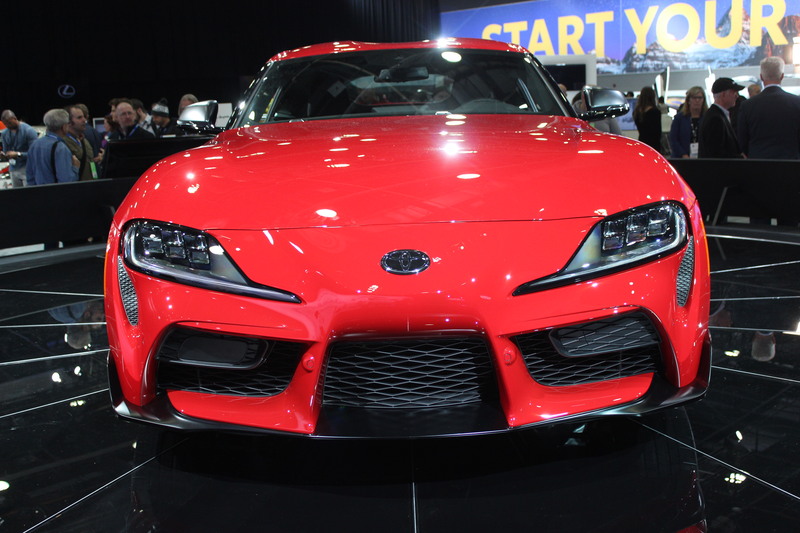 While many Supra traditionalists – there are many, many, many of these – will think “red” when they think “Supra”, the way it looks painted in silver is actually quite fetching. 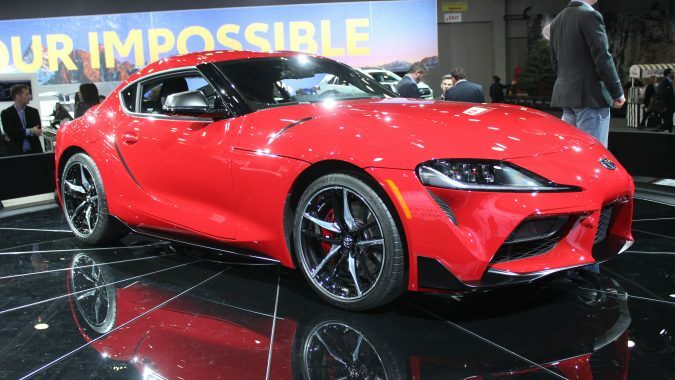 The lines are somehow easier to see – the character line/crease on the lower door, the subtle flares over the front fenders, the handsome creases just above the sills – all appearing that much more vibrant when set against a sliver background. 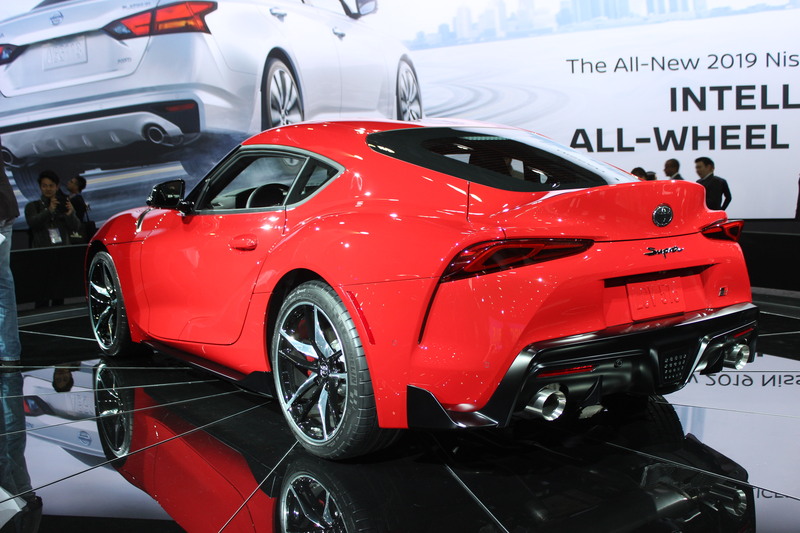 Love the standard two-tone 19-inch wheels, too. 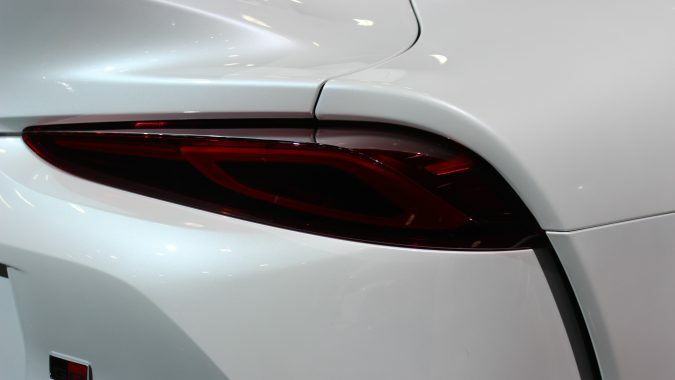 Having said that: no matter how much they try, they can’t hide the proportions, and the fact that this is a shared platform with the new BMW Z4. 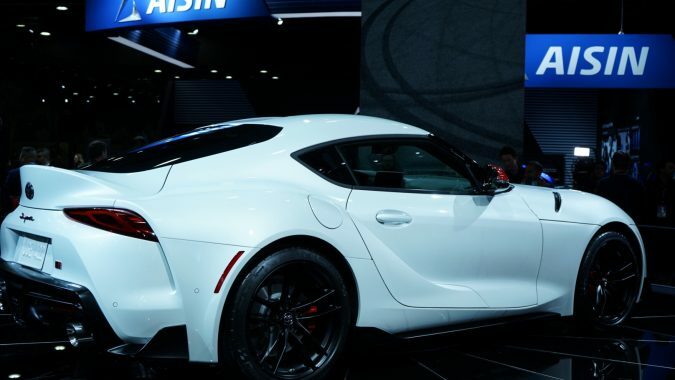 That may be a bone of contention from many Supra aficionados, but these days, cross-platforming is all the rage, right up there with CVT transmissions and all things EV. 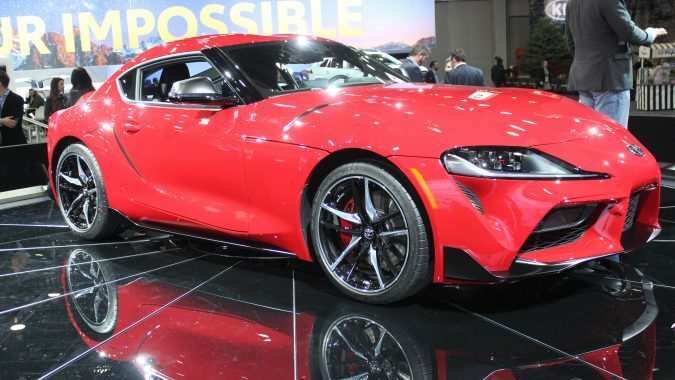 Speaking of transmissions, it should come as little surprise that the only one available is an auto. 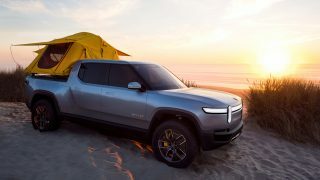 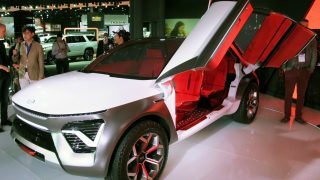 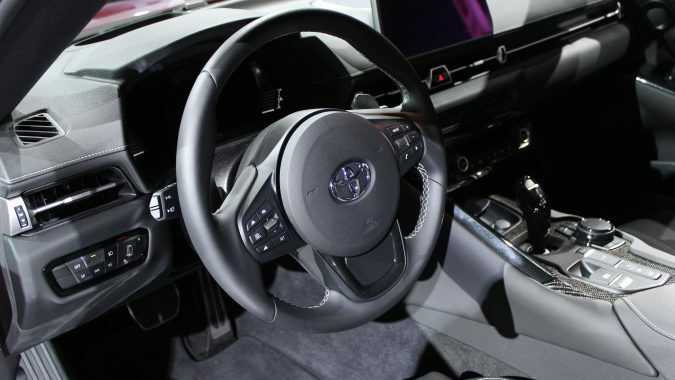 It’s an 8-speed with standard paddle shifters and while many will bemoan the lack of a manual option, you know this one is going to be faster and more fuel-efficient. 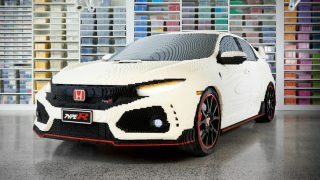 Just the way it is. 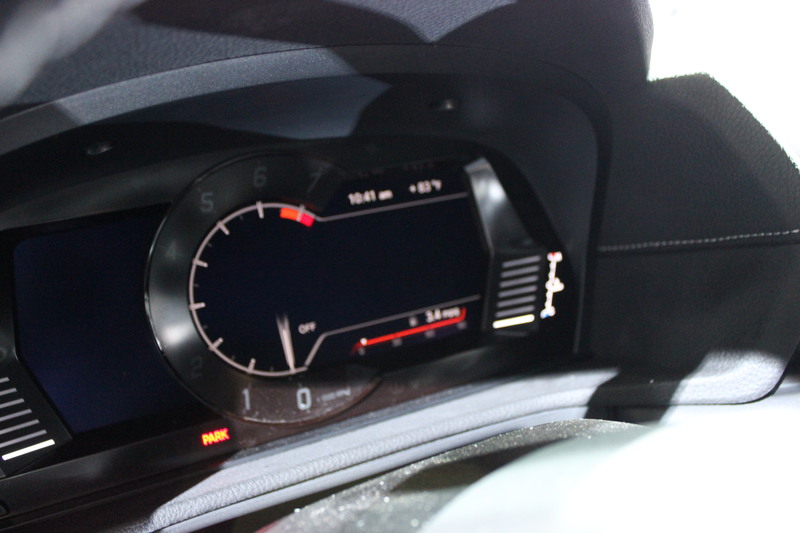 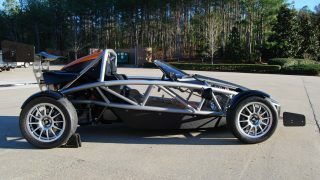 You do get a launch control system, though, which is nice, and they’re claiming a 4.1-second 0-60 mph time. 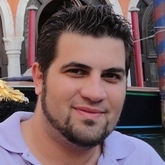 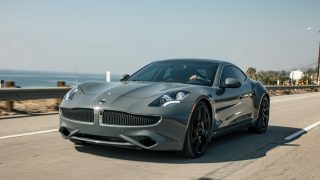 Two driving modes – normal and sport – will be offered. 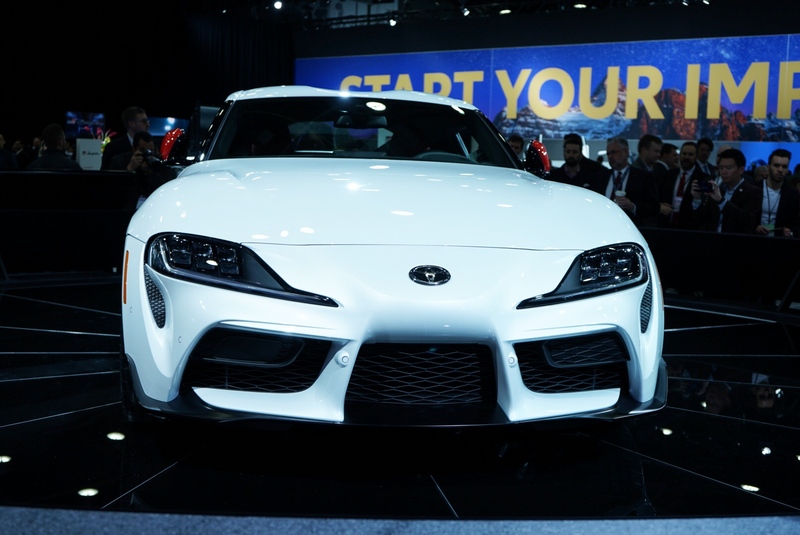 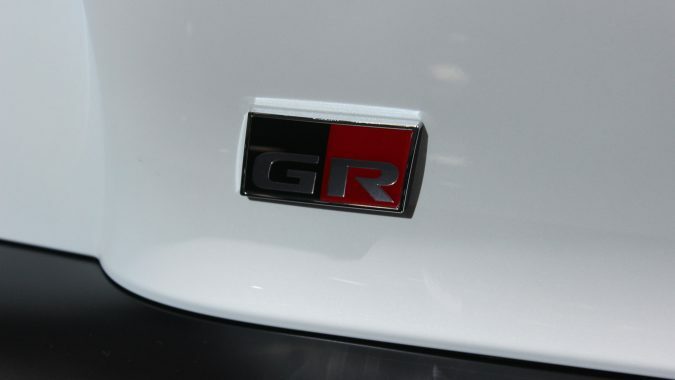 Power from the 3.0L turbocharged six cylinder is rated at 335 hp and 365 lb-ft; that’s less power than what’s offered by the Z4, but Toyota has been working closely with its GAZOO racing division and if the Yaris GRMN is any indication, chances are we’ll be seeing a more powerful version soon. 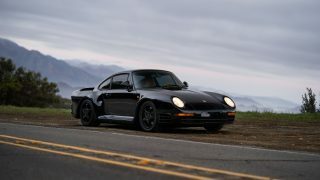 The turbo is a twin-scroll unit, however, providing a flatter torque curve with power throughout the rev range. 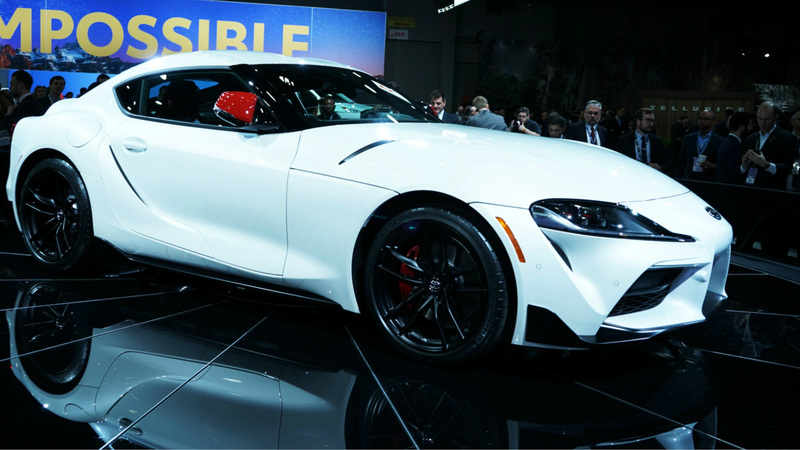 Handling-wise, the Supra gets 50:50 weight distribution and active variable suspension that, along with the transmission and throttle inputs, gets modified when you move between normal and sport driving modes. 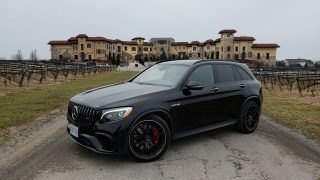 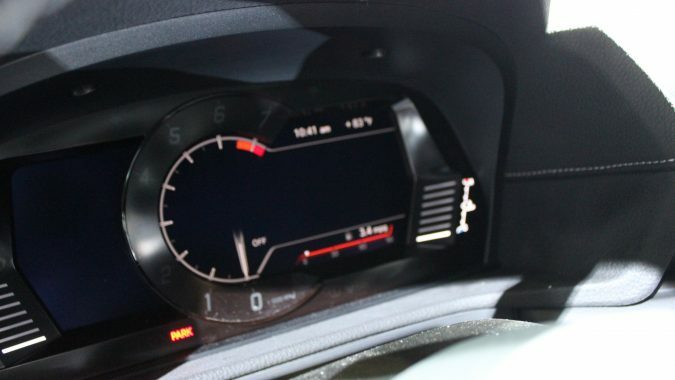 Inside, the connection with BMW can once again be felt; the steering wheel is the biggest indicator, as is the iDrive-esque infotainment wheel and 8.8-inch widescreen display. 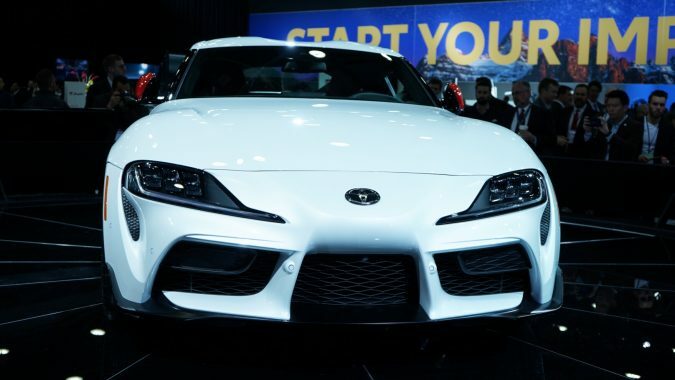 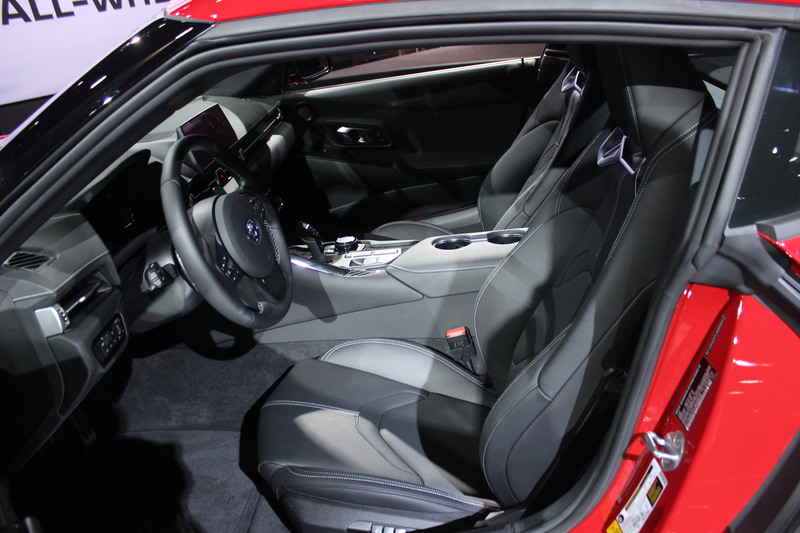 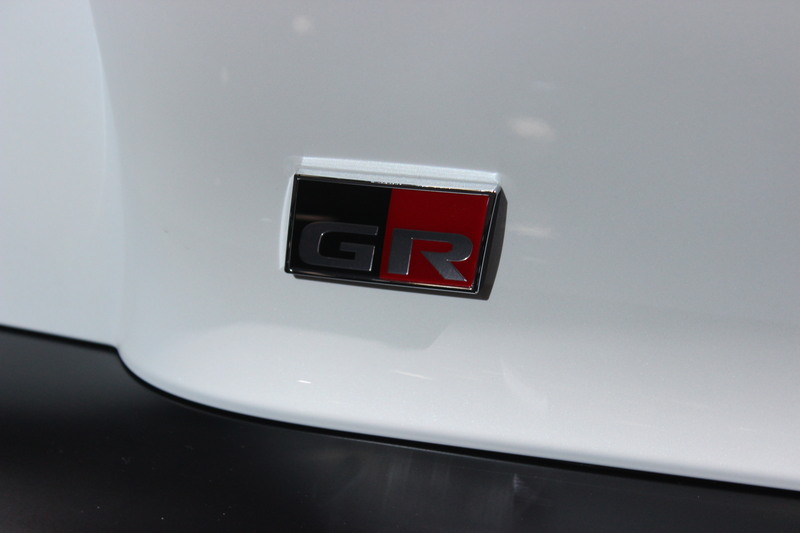 It’s your access point to the 12-speaker JBL audio system, Apple CarPlay (no Android Auto) and various Supra connect telematics services. 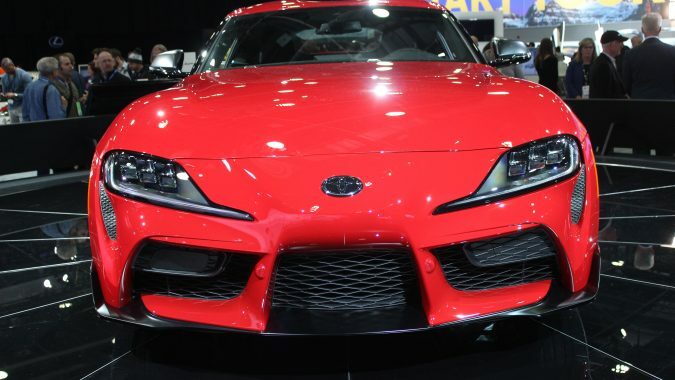 Look for the 2020 Supra to arrive in dealers in the summer of this year – if they don’t all get sold before then.